Television personality Vikki Ziegler has announced the launch of Divorce Dating, a new free dating app dedicated to the “largely overlooked” needs of divorcees. The new app aims to provide an online dating platform that “gives divorced people a confidence-building environment to communicate, connect and find friendship or love”. Upon joining, users are encouraged to complete a series of quick profile questions to help narrow down the search for suitable matches. The app’s also includes a Wingmen option, which allows users to select up to three people to give checks on their matches. This feature has been added so that users can get a valued second opinion on their matches from someone they trust, even if the Wingman is not actively using the app themselves. Users can also add more to their profiles by using Divorce Dating’s “Fabric” section. 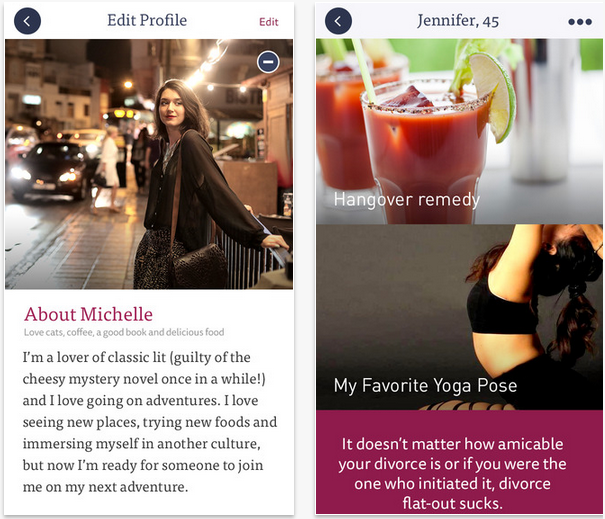 The section lets users add photos to reveal more about their interests and ensure “surefire conversation starters”. Ziegler, best known for her role in the Bravo TV show “Untying the Knot” said: “When someone gets divorced, they don’t think of themselves as single. They are divorced, and that carries with it a set of experiences and emotions that only other divorced people can understand. “Although divorce is never easy, you can use it as an opportunity to grow and figure out what you want in your next relationship. The app is now available for iOS devices in the greater New York area, including New York City, Long Island, the lower Hudson Valley and parts of Connecticut and New Jersey. Download the app here, and visit its official site here.